Believed to be the first of its kind in Australia, a purpose-built multi-levelled dementia care home in Northern Sydney is holding an open day for visitors and is expected to open its doors for residents in the next couple of months. Consisting of five apartments with nine residents (one with 12) in each apartment, HammondCare has incorporated its cottage design model into a multistorey building in Wahroonga. The apartments have been designed with access to outdoors via terraces and balconies, lots of natural light and an easy-to-navigate design. They incorporate the latest elements in dementia care design, with ensuite, clearly visible toilets in resident’s rooms, memory boxes next to the doors, and décor is plain with contrasting colours to assist with way-finding. 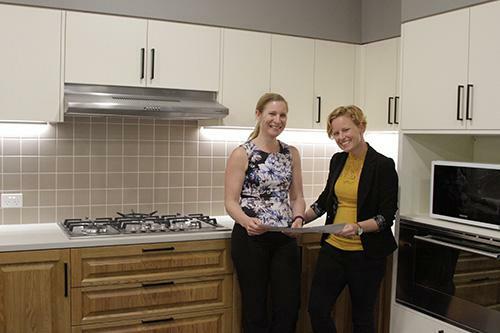 “Add to this a familiar domestic-looking kitchen at the heart of each apartment where fresh, healthy meals are cooked for residents, and it is no wonder so many of our residents feel right at home,” says Ms Raguz. The four level building also has a chapel, resident’s ‘supermarket’, hairdresser, and other amenities, and the adjacent heritage listed Woonoona Cottage, carefully protected and restored as part of the project, will be used for administration. HammondCare Wahroonga ’s innovative design has also attracted the attention of a provider in South East Asia who is keen to see how quality dementia care can still be provided when building space is limited. “Our approach to dementia care is highly regarded and we have people visiting from around the world to learn about our dementia design and model of care,” Ms Raguz says. The HammondCare Wahroonga Open Day is on October 27, 10am to 2pm at 3-9 Woonona Avenue South, Wahroonga with special information sessions on dementia to be held at 10.30am and 1pm. At the open day, HammondCare’s aged care food ambassador and executive chef Peter Morgan-Jones who works closely with the Maggie Beer Foundation, will be demonstrating some of his dementia-friendly recipes on the day and refreshments are available.